World of Warcraft still wears the crown but Blizzard revealed yesterday that for the second consecutive quarter, its subscription numbers have declined. Don't head for the lifeboats just yet: the World of Warcraft dreadnought is still chugging along, with a whopping 11.1 million subscribers worldwide. But as impressive as that figure is, it still represents a drop of roughly 300,000 subscribers over the quarter that ended on June 30 and that's enough to have Blizzard scrambling to find ways to turn things around. Part of the problem facing the game, CEO Mike Morhaime explained in an investors call, is that subscriber numbers "tend to be seasonal and driven by content updates," but as players become more experienced and better at the game, expansions like Cataclysm just don't hold up like they used to. "I think with Cataclysm [players] were able to consume the content faster than with previous expansions, but that's why we're working on developing more content," he said, which will include "major new raid and dungeon content." "We believe that this new in-game content will keep the game fresh for current players, and provide compelling reasons for lapsed players to come back," he added. 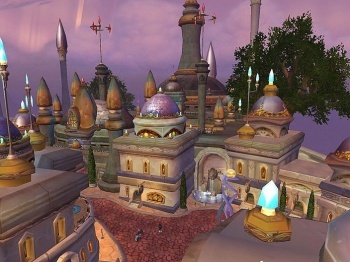 WoW's new unlimited trial system has resulted in a "significant increase" in new accounts, Morhaime said, although it's still too early to tell what impact that will have on the actual subscriber base, and continued international expansion into countries like China, Russia and Portugal will also help reverse the trend. And in spite of the reduced subscriber numbers, World of Warcraft revenues for the quarter are actually up year-over-year, although profit margins were down thanks to ongoing investment in what Morhaime described as projects "that haven't necessarily been announced." The game brought in $313 million this quarter, compared to $292 million over the same period in 2010. In other words, there's no need to panic just yet.